Home › Geodosu Inc. has released a new search service for tourists who visit Kyoto. 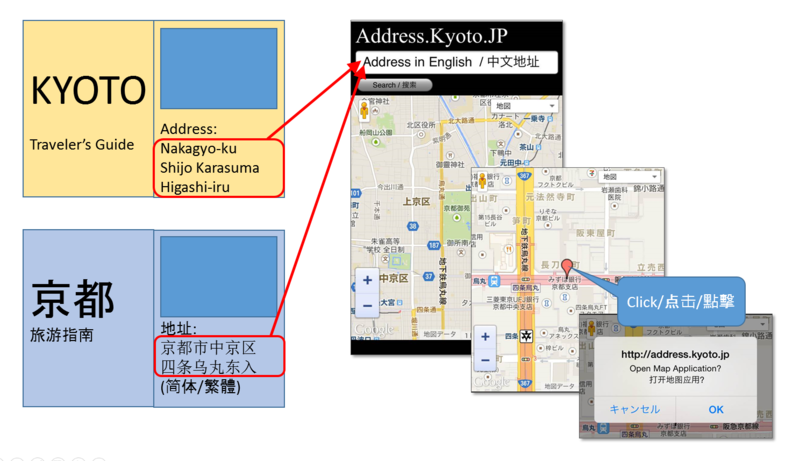 Geodosu Inc. has released a new search service for tourists who visit Kyoto. You can search for addresses in English, simplified or traditional Chinese, as shown in the tourist guidebook. The search area is Kyoto. We hope you enjoy Kyoto.